Sniffing. Sneezing. Coughing. Tis the season for those telltale signs of the flu to strike our homes, community, and workplaces. Encourage workers to adopt healthy hygiene habits to help prevent the spread, from washing hands thoroughly to keeping a safe distance from others when not feeling well. Share this infographic which outlines good practices for workers and tips for employers to help reduce the spread of infections. 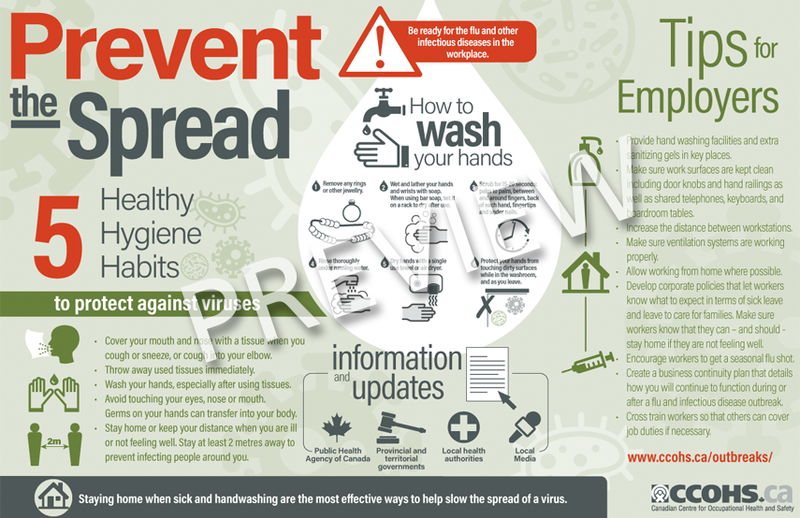 Visit our Flu and Infectious Diseases Outbreaks website for more information and resources.